4: Sumerian constellations and star names? Gudea cylinder A. The two Gudea cylinders (both enormous hollow clay cylinders) and thousands of clay tablets were excavated by the French at Lagash between 1877 and 1900. Both Gudea cylinder A and Gudea cylinder B are held in the Louvre museum, Paris. They are both inscribed with lengthy hymns to the god Ningirsu (= Ninuta) and his temple at Lagash. They were among the first Sumerian monuments to be recovered. Lagash was one of the oldest Sumerian cities in the state of Lagash, and in the late 3rd-millennium BCE was also one of the largest cities in the world, if not the largest. Some time after 4000 BCE the Sumerians migrated from the northeast of Mesopotamia to the southernmost coastal region of of Mesopotamia (the floodplain along the Tigris and Euphrates rivers of modern-day southern Iraq and Kuwait). Small settlements of farmers had already occupied this area during the 5th-millennium BCE. There is no evidence the Sumerians had a formal academic discipline of astronomy. The number and variety of of Sumerian names for stars/constellations does not prove the existence of a Sumerian uranography. Babylonian astronomy in the 2nd-millennium BCE likely developed rapidly without a Sumerian antecedent. It is a widely held popular belief that the constellations and the zodiac originated with the Sumerians circa 3000 BCE. This is wrong on both counts. The existence of reasonable evidence for Sumerian constellations and star names dating to the 3rd-millennium BCE has been lacking until recently. The topic still remains controversial and somewhat speculative. It cannot even be said that we have an indirect knowledge of Sumerian astronomy. The best evidence for early Mesopotamian constellations and star names still remains with texts dated to the 2nd-millennium BCE (circa 1800 BCE). There is no evidence of any established system of any of astral omens or astronomy in the Sumerian sources. There are no cuneiform texts from the 3rd-millennium BCE containing records of astronomical observations. However, the eminent assyriologist Hermann Hunger ("The Cultic Calendars of the Ancient Near East." in The Journal of the American Oriental Society, October-December, 1996) states: "While there is no doubt that the sky was observed in Sumerian times for the purpose of omens and probably also in connection with cultic actions, this is not astronomy, which involves measuring and computing." Systematic astronomical observations are not indicated as being part of Sumerian tradition. Their cosmology contains mythic elements. The extent to which Sumerian myths related to astronomical objects i.e., planets, remains uncertain. There is no formal astronomy in Sumerian texts. Sumerian literary texts, however, contain astronomical references. (Some knowledge of Sumerian astronomy exists in literary texts and references to calendars.) The Sumerian term UDU.IDIM.MES (Akkadian bibbu) = wild sheep = planets. In the religious text Nanna-Suen Hymn 1 (Sumerian period, 3rd-millennium BCE), the mention of cows is an allusion to the stars in the night sky. (Nanna-Suen (Bronze Age Mesopotamian moon god) Hymn I (of 15 hymns to Nanna-Suen known) has a section on stars and cows. There is an allusion to stars and planets as cattle and the sky as a cattle pen. In a later text the sun and the moon are herdsmen who keep the sky ordered. There is no evidence that the Sumerians were familiar with domes. For the Sumerians the sky is like the curved roof of a cattle pen.) In the religious text the Exaltation of Istar (Middle Babylonian period, circa 1150-1000 BCE), the sun and moon are herdsmen keeping the stars (as cattle) in their order. "The scribes of the Old Babylonian period were very zealous copyists and went to great lengths to preserve the literature that came down to them from the past, especially the archives of the Third Dynasty at Ur [the Neo-Sumerian Empire, 22nd to 21st century BCE]. There were as well, however, many marvellous and original works put together by these Akkadian scribes themselves." ("Syro-Mesopotamia: The Old Babylonian Period" by Ronald Veenker. In: Mesopotamia and the Bible edited by Mark Chavalas and K. Younger Junior. (2002; Pages 149-167, Page 163). Evidence for Sumerian celestial observation consists of: (1) calendar establishment and regulation, (2) likely observations of the heliacal risings of particular stars, and (3) their knowledge that Venus was both a morning and evening star. Evidence for Sumerian star names/constellations consists of: (1) the goddess Nisaba consulting a star tablet, (2) the earliest kings in The Sumerian King List sharing names with constellations, and (3) fragments of star lists/constellation mentions may go back to the 3rd-millennium BCE. The earliest known astral name in Mesopotamia is for Venus and dates to the early 3rd millennium BCE. Circa 3500 BCE the Sumerians recognised Venus was both a morning and evening star. The Sumerian Inanna myth, centred on the city of Uruk, is readily interpretable as referring to the periodic disappearance of the planet Venus from sight in the western sky and the planet's later reappearance in the eastern sky. Also, the two epithets húd 'morning' and sig 'evening' describe the goddess Inanna (Venus) as two manifestations of the planet Venus, one shining in the morning sky and one shining in the evening sky. Bendt Alster believed astronomical observations could be discerned in Sumerian compositions dated as early as circa 3500 BCE, which refer to the movement of the heavenly bodies and the constellations. Note: It is worth noting that the assyriologist Lorenzo Verderame has pointed out that in Mesopotamian civilisation oral communication was the main method of transmitting tradition. Writing was an addition, not an alternative/substitution for oral transmission of knowledge. Circa 3000 BCE (Archaic Period) the Sumerians were able to regulate an intercalated lunar calendar by inserting a 13th lunar month approximately every third year. Circa 3000 BCE there may have been knowledge of the 1.6 year synodic period of Venus, also the 8 year synodic period of Venus. Circa 2900 BCE Sumerian pictographic texts discovered on monuments of the Sumerian city-states Uruk and Jemdet Nasr refer to the 29th century BCE, show evidence of calendar inscriptions and records of the rising and setting of Venus, and (supposedly) delineations of several constellations. Circa 2700 BCE the goddess Nisiba [note: early and current spelling Nisiba but now usually spelled Nisaba or Nidaba] (the patron goddess of scribes, and also the goddess of the agricultural cycle) had a knowledge of astronomy attributed to her and her temple in Ereš was called the "House of the Stars." She had a lapis-lazuli tablet which is sometimes called the "tablet with the stars of the heavens" or "tablet with the stars of the pure heavens." It was kept in her "House of Wisdom." It is possible that this lapis-lazuli tablet - which was connected with astronomy - was a kind of star-map or symbolic representation of the heavens. For the possibility that 2 lunar eclipses described in EAE 20 and 21 date to the Ur III period, and incorporate observational material, see particularly the discussion: "On the Astronomical Records and Babylonian Chronology." by V. G. Gurzadyan (Akkadica, Volume 119-120, 2000, Pages 175-184). One of the earliest and clearest references to a celestial sign dates to the Sumerian Gudea Cylinder A where the goddess Nisaba tells Gudea, with a sign sent in the form of a bright star, when to begin construction of Ningirsu's temple. Also, several lines of inscription on Gudea Cylinder A, in a section dealing with his commission to build the Eninu [Eninnu], suggest astronomical observations in the 3rd-millennium BCE. 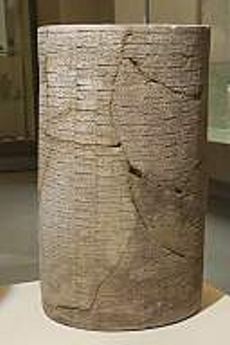 (The clay cylinders of Gudea, known as Cylinder A and Cylinder B comprise a very important text corpus. They were found as foundation deposits in the temple Eninus [Eninnus] devoted to the god Ningirsu. Both the cylinders contain texts devoted to the achievements of Gudea (a king). The texts are quite long with about 1300 lines each. They are the most ancient complete Sumerian literary composition and are an important source for understanding Sumerian. (The language on the cylinders is actually called New Sumerian. Most of our present knowledge of Sumerian is derived from texts in an era in which Sumerian as a spoken language was already extinct.) The assyriologist Francesca Rochberg believes the poetic inscription describing Gudea's building of Ningirsu's temple suggests the existence of dream omens, extispicy, and even celestial signs, and places divination in the context of a temple building ritual. See also: With roots in the Abzu and crown in the sky: Temple construction in between myth and reality - A study of the Eninnu temple of the Gudea cylinders as divine house and cosmic link by Anne Rebekka Øiseth (A dissertation presented to Institutt for Kulturstudier at the University of Oslo, for partial fulfilment of the degree of Master in History of Religion. August 2007. Though unpublished it is downloadable from the Internet.). (1) Alster, Bendt. (1976). "Early Patterns in Mesopotamian Literature." In: Eichler, Barry. (Editor). 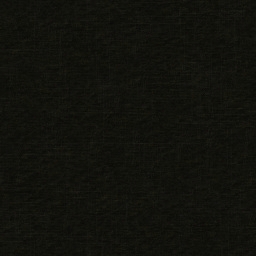 Kramer Anniversary Volume, Pages 13-24). (2) Brown, David. (2000). Mesopotamian Planetary Astronomy-Astrology. (See especially pages 67, and 245-248.) Relies primarily on Cylinder A of Gudea. (3) Cohen, Mark. (1993). The Cultic Calendars of the Ancient Near East. (See pages 178-180.) Relies primarily on Cylinder A of Gudea (and the identification of the heliacal rising of the month star Aldebaran (by Thorkild Jacobsen), and the work of the assyriologist Bendt Alster regarding possible astral themes in Sumerian compositions. (4) Crossen, Craig. and Procházka, Stephan. (2007). "The Seven Sleepers and Ancient Constellation Traditions - a Crossover of Arabic Dialectology with the History of Astronomy." (Wiener Zeitschrift für die Kunde des Morgenlandes, Band 97, Pages 79-106). Postulates that a hymn to the god Enlil written in Sumerian implies a prototype of the wagon constellation (and its revolution around the polar region) in the 3rd-century BCE. (6) Horowitz, Wayne. (1998). Mesopotamian Cosmic Geography. On pages 166-168 the author discusses evidence indicating the possibility of Sumerian star charts. (7) Casaburi, Maria (1999). "Sumerian Astral Nomenclature and Alternations in Writing: The Case of Astrolabe B." (Annali dell'Instituto Universitario Orientale di Napoli, Volume 59, Numbers 1-4, Pages 405-408). A note discussing a specimen of Sumerian astral nomenclature found in Astrolabe B. The journal is published by: Dipartimento di studi del mondo classico e mediterraneo antico. (9) Cooley, Jeffrey. (2013). Poetic Astronomy in the Ancient Near East: The Reflexes of Celestial Science in Ancient Mesopotamian, Ugaritic, and Israelite Narrative. Discussed in 2.2 Pre-Old Babylonian Celestial Sciences (Pages 32-43). Cooley states: "There are no celestial-science texts extant from the pre-OB periods." On pages 33-42 the author discusses evidence of celestial observation and celestial divination. (10) Selz, Gebhard. (2014). "The Tablet with ‚Heavenly Writing’, or how to become a star." In: Panaino, Antonio. (Editor). Non licet stare caelestibus. Studies on Astronomy and Its History offered to Salvo De Meis. (Pages 51-68). According to Gebhard Selz, in the dream vision of Gudea (and its interpretation by the goddess Nanše, the dream-interpreter of the gods) the shining stars of heaven are perceived as divine writing providing ominous signs and revealing divine schemes (ĝarza). The underlying notion is that of the sky being the writing tablet of the gods. The latter paper by the assyriologist Wayne Horowitz is an important discussion of the topic. The Sumerian literary work Enki and the World Order (288-289) refers to two constellations. These are "The Field" (= the Pegasus-square) and "The Chariot." Cylinder B of Gudea (ix, 15) refers to the chariot of Ningirsu ("The Chariot" constellation mul.giš gigir). He also expresses the possibility that constellation/star names written in Sumerian but appearing in late texts may actually be genuine survivors from the 3rd-millennium BCE. The name of the "Bull of Heaven" (mul gu4.an.na) in the Sumerian epic Gilgamesh and the Bull of Heaven has the same name as the bull constellation Taurus. In the epic Lugalbanda I there are two references (201-3, and 484) to "morning star(s). Two Sumerian hymns to the Moon-god indicate knowledge of stellar movement where mention is made that Nanna-Suen herds cattle (= herds stars). The term cattle meaning stars is obvious from the passage. Wayne Horowitz concludes ("Some Thoughts on Sumerian Star-Names and Sumerian Astronomy." In: An Experienced Scribe Who Neglects Nothing, edited by Yitzhak Sefati et. al. (2005)): (1) Sumerian texts, dating back to the time of the earliest archives of cuneiform texts, do directly and indirectly indicate evidence of astronomical/astrological activities. (2) The state of present cuneiform evidence indicates that the Sumerians of the 3rd- and 4th-millennium BCE had no formal system of astral sciences (astronomy/astrology) that can be compared to astronomy/astrology in Akkadian texts of the 2nd-millennium BCE. There is no evidence that Mul.Apin is a compendium of late-Sumerian astronomical lore or that the astrolabes derive from late-Sumerian astral lore. The Spanish Sumerologist Miguel Civil, (1926-2019), writing on the influence of astronomy in Mesopotamian agriculture in his book, The Farmer's Instructions: A Sumerian Agricultural Manual (1994) translates line 38 (pages 30/31): "Once the sky constellations are right, do not be reluctant to take the oxen force to the field many times." (See also page 79 of the Commentary.) The manual comprising 111 lines was restored from 9 fragments and dates to circa 1500 BCE (perhaps 1700 BCE). See: "Literature and History: The Historical and Political Referents of Sumerian Literary Texts." by Jerrold Cooper. In: Historiography in the Cuneiform World. Part 1 (2001). Edited by P. Steinkeller. et al. (Pages 131-147). The article has been described as a sophisticated take on astral underpinnings in (Sumerian) mythology. (1) Star lists (2 examples are known). (2) Astral omens (12-13 tablets containing a variety of astral omens are known). (3) A quantification of the change in the length (duration) of day and night over the course of the year. Note: The Babylonian astronomers of the late 2nd-millennium BCE had an understanding of the basic rules of the motion of Venus and the other planets. The earliest evidence of extensive astronomical/astral activity in Mesopotamia is found in the great omen series Enūma Anu Enlil (the major series of celestial and atmospheric omens). This series comprises omens for both astronomical and meteorological events such as lunar and solar eclipses, the appearances of planets, and thunder and lightning. It is generally believed that, whilst astral omens had long been studied during the second millennium BCE, the omen series was not compiled in its final form until the beginning of the first millennium BCE. Tablet 63 of the Enūma Anu Enlil series, frequently referred to as the "Venus Tablet of Ammiṣaduqa," contains a sequence of omens derived from the first appearance and the first disappearance of the planet Venus. Unlike other omens in this series, however, they are associated with specific dates covering 21 years in the reign of King Ammiṣaduqa of the Babylonian First Dynasty. Because of this association, it has been suggested that these omens relate to actual observations of the movements of Venus. However, this would be unusual, omen statements are not reports of actual observations, but refer only to potentially observable events. This is made clear from the large number of omens that relate to celestial events which are in fact impossible. Appendix 1: Problems with use of Sumerian words. Developed during the late 4th-millennium BCE, the Sumerian language flourished during the 3rd-millennium BCE. (Only circa mid 3rd-millennium BCE can we be confident that cuneiform signs actually were a written language.) After some 1000 years, Sumerian changed from a spoken language to a literary language. Circa 2000 BCE Sumerian became obsolete as a living language but continued to be used as a language of scholarship by non-native speakers (such as the Akkadian speaking Babylonians and Assyrians) until the end of the 1st-millennium BCE. However, Sumerian texts from the 3rd-millennium BCE enable a more accurate understanding of the original Sumerian language than later Sumerian language texts influenced by Akkadian grammar and the grammatical understanding of Akkadian speakers. During the Hellenistic period (332-63 BCE) there are tablets with Sumerian words transcribed in Greek letters. The Semitic Akkadians borrowed the Sumerian-invented cuneiform script for writing their own language. For Akkadian scribes Sumerian was a language learned during scribal education. Though no longer used as a spoken language, Sumerian remained in use as a written language of scholarship and education. "In the Old Babylonian period the bulk of a student's elementary education consisted of learning Sumerian, by then a dead language. (Christine Proust, Tablettes mathématiques de la collection Hilprecht, 2008)" The Akkadians not only borrowed the idea of cuneiform but also retained numerous Sumerian logographs and phonetic signs (Sumerograms). (A logogram is a single symbol, that, for the purpose of brevity, represents an entire word of phase.) Additionally they added many of their own. (By circa 2000 BCE the Akkadian use of the Sumerian script had developed many modifications to Sumerian orthography with the Semitic equivalents for many signs becoming distorted or abbreviated to form "phonetic" values.) Because of their shortness Sumerian symbols remained in use in Akkadian writing. The Sumerian language (i.e., cuneiform signs) provided logograms for expediting the writing of Akkadian (i.e., Babylonian and Assyrian). The original Sumerian script was adapted for the writing of Akkadian. Akkadian texts are mostly (approximately 90 per cent) syllalograms. Syllables were frequently represented by signs. An Akkadian word was separated into individual syllables, and each syllable was represented by a Sumerian sign. Most of the signs used to spell Akkadian represent syllables. Most signs had 2 or more values or readings. However, in some cases, 1 symbol could have up to 12 syllabic values. The terms ideograms and logograms are applied to the Sumerian language. The terms Sumerograms and logograms are applied to the Akkadian language. They are used in the graphic representation of a language other than Sumerian. In Akkadian Sumerian logograms are often named Sumerograms because they originate from Sumerian cuneiform signs. A Sumerogram is the use of a single, or group, of Sumerian, cuneiform signs as an ideogram or logogram rather than a syllabogram. An ideogram is a graphical symbol representing an idea rather than a word i.e., graphical wayfinding signage at airports. A logogram is a meaningful cuneiform sign that stands for an entire word. A logogram is a written symbol representing an entire spoken word without expressing its pronunciation i.e., $ for dollar. The term ideogram is also commonly used to describe logographic writing systems. Cuneiform is a script not a language. It can be used to render any language. Different versions of cuneiform writing were used to write various Near Eastern languages. Overall the Sumerian script was adapted for the writing of Akkadian, Eblaite, Elamite, Hittite, Luwian, Hattic, Hurrian, and Urartian languages. Sumerian loan words were written just as they were written in Sumerian. However, it is not (always) possible to decide whether the Sumerian words (word-signs or 'ideograms') used in later (non-Sumerian) times are actually Sumerian in origin or are just later Babylonian notions recorded in anachronistic Sumerian. (According to the cuneiform philologist John Heise, Akkadian speakers systematically used the Sumerian language at least to the Old Babylonian Period. It was the language of the Akkadian-speaking scholars.) Because of the ability of the Sumerian language to express multiple words with the brevity of a single logogram the Sumerian language was later used for either technical or ritual purposes. Sumerian logograms offered the advantage of brevity enabling technical terms to be written with a single symbol. (A Sumerogram can be symbol (sign) and would mean one word, or compound symbols (signs) - separated by spacings - representing multiple words.) A logogram used in an Akkadian text could represent either a loan word from Sumerian or a native Akkadian word. Sumerograms did not necessarily represent Sumerian loan words in the Akkadian language. Sumerograms were actually read in Akkadian only. The Sumerian symbols were used because of their shortness. To write the word meaning 'scales' (Akkadian zibanitu(m)), for the constellation Libra, either the single Sumerian logogram RIN could be used or the four Akkadian cuneiform signs zi-ba-ni-tum. "Logograms are used in Sumerian to write nominal and verbal roots or words, and in Akkadian as a kind of shorthand to write Akkadian words which would otherwise have to be spelled out using syllabic signs. For example, an Akkadian scribe could write the sentence "The king came to his palace" completely syllabically: šar-ru-um a-na e-kal-li-šu il-li-kam. He would be just as likely, however, to use the common Sumerian logograms for "king" and "palace" and write instead LUGAL a-na É.GAL-šu il-li-kam. (Introduction to Sumerian Grammar by Daniel Foxvog (2011, Page 12))"
Understandably, logograms were used as short-cuts in order to write faster and save space on a tablet. Sumerian word signs were frequently used as technical terms in mathematics and astronomy. In some ways the later use of Sumerian in Babylonian texts is somewhat similar to the continued use of Latin in the Middles Ages in Europe (termed 'Classical Latin'). It was the language of a cultural elite (i.e., the lingua franca). Long after the end of the Roman empire, Latin continued in use as the lingua franca of the educated classes, and of law, diplomacy, religion, and university teaching. Latin was used as an international lingua franca until the end of the 18th-century. It was a general convention in ancient Mesopotamian scientific texts to use Sumerian word-signs to render Akkadian vocabulary words. As such no conclusion can be confidently drawn from the later use of Sumerian terms regarding the time or place of the origin of the content of the texts. Also, there are very few original Sumerian tablets containing any significant astronomical references. Interestingly, Erica Reiner states (Astral Magic in Babylonia (1995, Page 22)): "Some prayers are written , it appears, in the Sumerian language, but in fact are simple transpositions of Akkadian phraseology into Sumerian words and phrases. They may have been recited - as in various rituals - by the priest or exorcist utraque lingua eruditus ('learned in both languages') while the client's prayer was couched in the vernacular, Akkadian." In 2006 Martin Worthington (Faculty of Oriental Studies, University of Cambridge) stated: "Translating Sumerian is a particularly demanding and intricate task, as the language presents many more difficulties than modern or even other ancient ones. Sumerian (whose very existence was still disputed just over a century ago) is still not fully understood, and many nuances are provisionally lost to us. Research tools are inadequate -- a comprehensive up-to-date dictionary is lacking. The number of scholars working in the field is small. The literary compositions themselves have to be pieced together painstakingly from thousands of clay fragments housed in museums all over the world. The content of the compositions is often far removed from modern aesthetics and ethics and not always easy to comprehend." Note: Wilfred Lambert (1999) expressed the "extremely plausible proposition" that there may have been more than one Sumerian system of writing in early times. Some persons have argued that if there are no conclusions to be drawn from the use of Sumerian words (word-signs or 'ideograms') used in later (non-Sumerian) times then it would have to be concluded that there are no conclusions to be drawn from the fact in Western uranography that we use Arabic and Latin names for the stars. However, the weight of evidence between the two is vastly different. There is literally no direct evidence for establishing Sumerian astronomy - but some people like to make deductive assumptions for such based on selective reasoning. We have lots of sources for for understanding why Arabic and Latin star names are used and we can confidently reach conclusions. Appendix 2: The Ur III Period. The Ur III period (2112-2004 BCE) (not to be confused with the earlier Uruk III period reaching up to circa 3000 BCE) is generally considered the best (most abundant) documented century in antiquity. This was due to a state organisation that was very bureaucratic. The Third Dynasty of Ur was a highly bureaucratized empire with a cohesive, literate elite. It was also a relatively short-lived empire. There is an abundance of surviving documentation. Large numbers of cuneiform records have been recovered. The many tens of thousands of tablets recovered (many from looters) have been long studied. It is also termed the Neo Sumerian period or the "Sumerian Renaissance." The tens of thousands of cuneiform tablets that have survived document an immense range of activities. This has resulted in nearly 100 years of intense scholarly work on the Ur III period. Within the context of the active intellectual endeavour recorded at this period no astronomy emerges. Note: Some scholars now contest the traditional view of a resurgent Sumerian 'Renaissance' in the Ur III period, after the Akkadian rule of Sargon, as little more than a modern construct. Appendix 3: Sumerian Astral Omens? No astral omens in the Sumerian language have been found. However, there is some evidence that ominous signs were observed and interpreted. The somewhat sole example is Gudea of Lagaš looking for signs from extispicy before beginning the rebuilding the temple of his city's god, Ningirsu. Nothing recovered to date from Sumer matches the Old Babylonian omens. Appendix 4: Star Names in Sumerian-Eblaite List. The oldest Semitic star name presently known is kà-ma-tù (a name for the Pleiades asterism) which occurs at Ebla in cuneiform tablets comprising the palace archive dating to the late 3rd-millennium (circa 2500 BCE-2250 BCE). Appendix 5: The Greek Constellation of the Charioteer. Regarding the Charioteer constellation in Babylonian and Greek uranography, and seen by Wayne Horowitz as also a possible Sumerian constellation. The stars of the Greek constellation Auriga (= Charioteer) were the stars of the Babylonian constellation Gamlu/Gam (= the Crook (= possibly the Babylonian sickle implement)). The source for the perpetuating error that Gamlu = Babylonian charioteer is Robert Brown Junior in his totally unreliable Researches into the Origin of the Primitive Constellations of Greeks, Phoenicians and Romans. (1899-1900; 2 Volumes). In the Babylonian scheme of the Stars of Amurru SHU.GI (Su.gi/Sibu) was - until rather recently - identified as Old Man or Charioteer. This was done by Waerden in Science Awakening II. However, SHU.GI (in both the Astrolabes / Mul.Apin) is now identified as Old Man (See: Mul.Apin or Astral Sciences in Mesopotamia by Hunger/Pingree). Hunger/Pingree identify SHU.GI as the stars of Perseus. Many of the important Sumerian cities were dedicated to goddesses. Uruk/Kullaba and Zabala were dedicated to Inana. The association of Inana/Istar and Venus was made very early. Sumerian hymns reveal that already in the third millennium the planet Venus was seen as the astral form of the goddess Inana or Istar. Inanna's name is documented first in the archaic tablets found in Uruk/Warka, which date back to circa 3500 BCE. At that time Inanna was already connected with the planet Venus and was called dINANA-UD/húd (Inanna 'evening) and dINANA-sig (Inanna 'morning'). The name dINANA-KUR (Inanna of the Netherworld) is also attested, but less frequently. The early Uruk tablets that are used to identify Inanna with Venus have only very concise information, with expectation of reader knowledge. The three names would seem to reflect the three phases of the visibility of Venus. Inana was the goddess of the morning and evening star (Venus), waking people and signaling the end of their working day. It is indicated that the Sumerians preferred Venus as the evening star, which was usually endowed with female qualities. Inanna of Uruk was identified with the Semitic Ishtar, also a Venus goddess worshiped primarily at Akkad. In Sumerian liturgy, the radiance of the goddess Inana is a principal element in her description as the planet Venus. She was hailed as "the great lady of the horizon and zenith of the heavens" and she was addressed as "the radiant star, Venus the great light which fills the wholly heavens." (See: A Companion to the Ancient Near East edited by Daniel Snell (2008; Page 326).) In Babylonia the Semitic Ishtar was equated with the Sumerian goddess Inanna. The Akkadians of northern Babylonia venerated Ishtar (= the Sumerian Inana) as a goddess of lust and war, and she was also regarded as goddess of the planet Venus. Ishtar’s astral aspect in the form of the Venus star is symbolized by an octoradial rosette (= can be divided into eight identical pieces). The association of the graphic in Mesopotamia with the synodic astronomical behaviour of Venus is speculative. I am uncertain regarding how the recognition of such was accomplished and the pentagram developed. (It is a fiction that it is possible to draw a pentagram by marking on the ground the position in the sky each time Venus appears as a morning star during an 8-year cycle.) Egyptian use (circa predynastic period 5500 - 3100 BCE) seems to precede Mesopotamia (= use in Sumer). For early Egyptian astronomical origin – preceding use in Mesopotamia - and discussion of later astronomical association with Venus (at least in Mesopotamia); See: In Search of Cosmic Order: Selected Essays on Egyptian Archaeoastronomy edited by Juan Belmonte and Mosalam Shaltout (2009, Page 336). The appearance of the pentagram symbol is in Mesopotamian is dated to potsherds from Ur circa 3000 BCE (or perhaps earlier). See David Brown below for its association with Venus. Gebhard Selz (University of Vienna) holds that circa 3000 BCE there may have been knowledge of the 1.6 year synodic period of Venus. (See: "Remarks on the Empirical Foundation and Scholastic Traditions of Early Mesopotamian Acquisition of Knowledge." In: The Empirical Dimensions of Ancient Near Eastern Studies edited by Gebhard Selz (2011, Pages 49-70; see page 63). Jeffrey Cooley (Boston College), in his article, "Early Mesopotamian Astral Science and Divination in the Myth of Inana And Šukaletuda." (Journal of Ancient Near Eastern Religions, Volume 8, Number 1, 2008, Pages 75-98), holds the myth is related to the synodic activity of the planet Venus. Abstract: "The Sumerian tale of Inana and Shukaletuda recounts how the goddess Inana is raped by a homely gardener upon whom she seeks and ultimately finds revenge. Though this general plot has long been understood, certain elements of the story have remained largely unexplored. Previous scholarship has often suggested that within Inana and Shukaletuda, the goddess Inana is often described in her astral manifestation (e.g. S. Kramer 1961, 117; K. Volk 1995, 177-179 and 182-183; B. Alster 1999, 687; J. Cooper 2001, 142-144). Nevertheless, to date there has been no systematic treatment of this assumption and this study seeks to fill this gap. It is my thesis that certain events of the story (i.e. Inana's movements) can be related to a series of observable celestial phenomena, specifically the synodic activity of the planet Venus. This also explains the heretofore enigmatic climax of the story, in which Inana crosses the entire sky in order to finally locate her attacker, as a celestial miracle required by the planet Venus' peculiar celestial limitations. Furthermore, since in ancient Iraq the observation of astronomical phenomena was often done for the purpose of celestial divination, I suggest that certain events within the story may be illuminated if situated within that undertaking." Most of the Babylonian tablets concerned with the planets give calculated dates (and longitudes) for the synodic phenomena. Very few tablets give data for the planet between the phenomena. The synodic phenomena for an inner planet are: (1) its first appearance in the morning, MF, (2) its subsequent disappearance, ML, (3) its appearance and disappearance in the evening, EF and EL, and (4) its stationary points. The synodic phenomena for an outer planet are: (1) its appearance (in the morning) MF, (2) its disappearance (in the evening) EL, (3) opposition, and (4) the beginning and end of retrogression, BR and ER. In late texts the Babylonians recorded the longitude of the planet at each occurrence in signs (of the zodiac) and thirtieths of a sign. Since the Neo-Sumerian period (21st-century BCE) in literary and religious texts the astral status of Inanna is determined by the epithet U4-zal-le (the morning star) and the expressions using the word usan (the evening star). Ancient Elam is situated to the east of Mesopotamia. The capital city of Elam was Susa. Elamite written records begin circa 3100 BCE. The territory that comprised ancient Elam is now part of Iran. Carving of a sun-disc, a crescent moon, and an 8-pointed star (positioned next to a goddess seated on lion(s)) is included on an Elamite cylinder seal (from Susa?) dated circa 2500 BCE. See: Alt-Iran : Die Kunst in vorislamischer Zeit by Edith Porada (with the collaboration of Robert Dyson and with contributions by Charles Wilkinson) (1962, Pages 30-31). Willy Hartner brought attention to carvings of stars on an Elamite cylinder seal dated circa 2500 BCE. He thought they were possibly related to celestial stars and possibly that astronomy was being indicated. This Web Page was last updated on: Sunday, April 21, 2019, 6:00 pm.